An NBC News/Marist poll shows Gov. Bruce Rauner behind his Democratic contender J.B. Pritzker by 16 points. In other campaign news, a hearing officer says Chicago mayoral candidate Willie Wilson’s cash giveaway did not break state election laws. The accused gunman and getaway driver in the 2013 shooting death of Hadiya Pendleton are found guilty. Protest organizer Gregory Seal Livingston lays out Labor Day plans to shut down the Kennedy Expressway. The software company Salesforce is looking to expand in Chicago with some 5,000 new jobs and a proposed video billboard overlooking the Chicago River. On the sports beat, the Cubs acquire a former Wrigley Field foe from the Washington Nationals: slugger Daniel Murphy, who’s controversial 2015 statements about homosexuality have raised eyebrows. The conversation continues in our web-extra video. 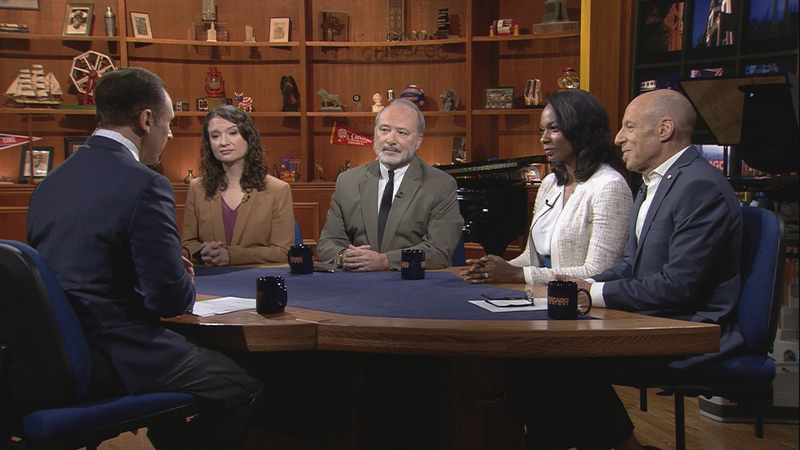 This week, Arruza and guests discuss President Donald Trump’s mounting legal woes and how they could impact Chicago politics.